The geometrical construction of the stair was produced in Corel DRAW the rest, including the characters, is purpose taken photography assembled in Photoshop. 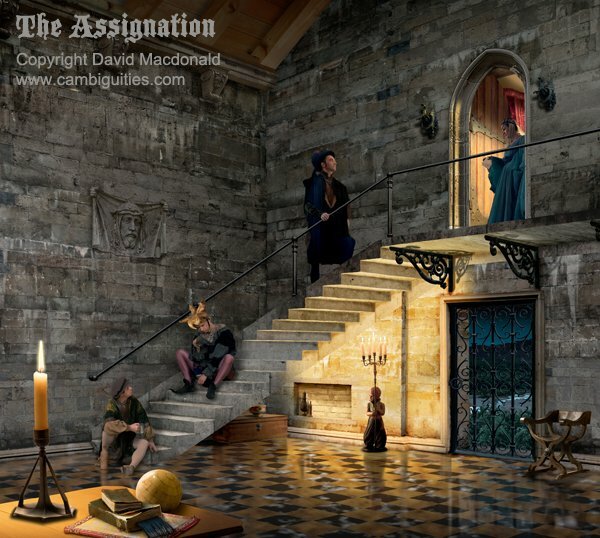 This illusion also depends on the use of lighting to enhance the reversal of the stair. © Copyright of the artist. No reproduction without express permission.